I hate paper. And I want to have a paperless classroom ... one day. Until then I have found that color coding my classes is the easiest was for me to keep up with their paperwork. 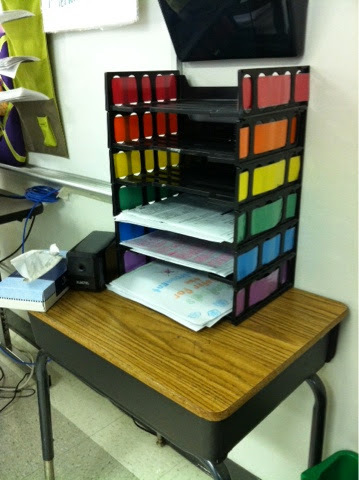 I teach 6 periods a day so red, orange, yellow, green, blue and purple covers all my classes. I have a set of cheap black trays. I cut strips of colored paper, laminated the strips and threaded the paper through the openings. 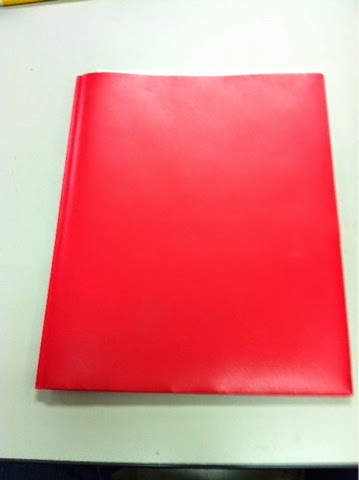 Back in the day I bought cheaper paper folders, and replaced them every year. 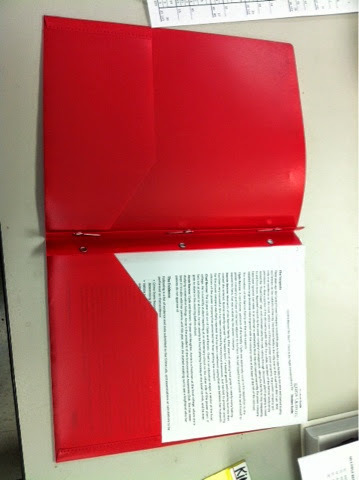 Then I finally found plastic folders in every color and have had them several years without needing to replace them. At one point I kept a print out of a spread sheet to record grades on in each folder, this year I printed grade sheets on colored papers and they started out the year in my teacher binder, but ended up in a folder behind my desk. I only use the pockets of the folders. When I am on top of things, I take papers out of the trays daily and paper clip them together (I typically grade once a week). 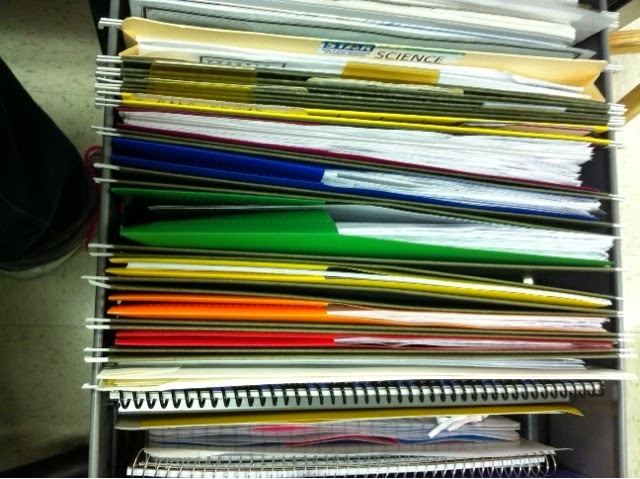 I keep the folders in my desk drawer in hanging file folders. And I can just open the drawer and drop random paper into the appropriate folders. I also have cheap cardboard magazine holders that I use to store graded papers. I used the same strips of colored papers and adhered them with packing tape that covered the entire strip of paper (to prevent the paper from fading quickly). I don't spend class time passing back papers typically. Of course if we need to talk about tests or quizzes, we will use class time for those assignments, but most of the time I store the papers until one week past report cards then I recycle everything. Most information I feel my student need to keep are part of their interactive notebooks, and AP kids have to keep up with everything.